I recently implemented a chore chart system for kids that I think is actually HELPING in my house and I had to write a little blog post about in case you felt like you needed something to use in your house as well. 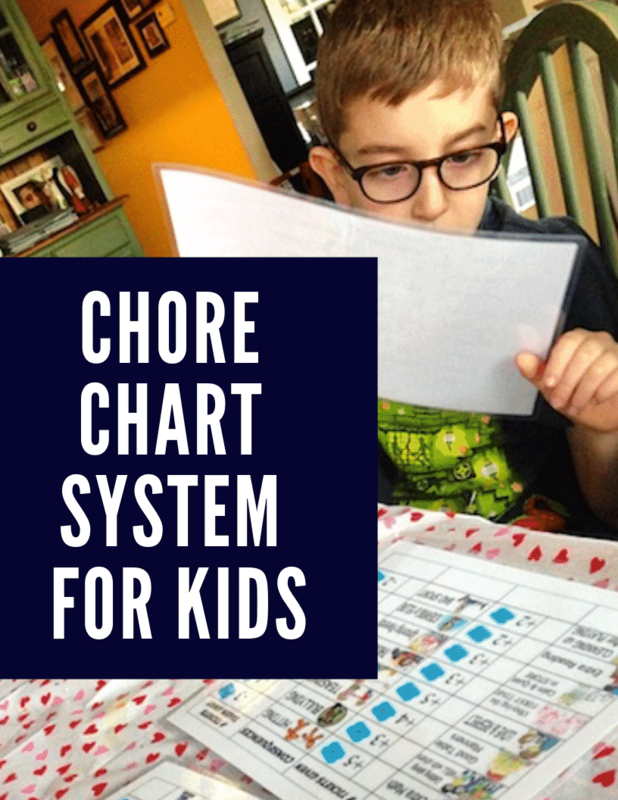 Over the last few weeks, we’ve been using this chore chart that I found online – and laminated because that’s how serious I am right now – and the children are 100% invested in the process. It feels like a big game to them. I think that’s the number one trick. Make it fun. Keep it entertaining. And always remain consistent. I’ll explain our chore chart system in complete details below. You will need only a handful of items to get this system started. I chose to use literal tickets that you would find at a fair or an amusement park. I bought them at Party City or Amazon – something like that. I printed a picture chore chart that worked for my family and the age of my children. Every family will want to customize what they need. I have children around 5-7 years old. There are plenty of free options online. You should really go and find one that best suits your needs. Or if you’d like, you could make your own. All you really need to do is make a list and assign values to each line item. A note about negative behaviors – you don’t have to include these. The chore chart I chose actually already had a column in place for them. You don’t have to add them to your routine. This is completely optional. When you notice a behavior, you have to acknowledge it immediately and you have to reward it immediately. That’s how this system works. And you know what? You have to do it every single time. I found that the hardest part about working a chore chart and making sure that it is successful falls on US. We – as parents – are the ones that make it work or make it BOMB. It’s our inconsistencies. Every lie. Every bed made. Every time they comb their hair – they all earn or lose a ticket. If they notice that their actions aren’t being noticed, then they will stop participating. We had a little jar for each child that was clear and visible at all times. They could see how many tickets they had and – at times – they would ask to count them. This acted as an incentive! If they wanted to count their jars, I would always let them. There is something fun about knowing you are close to a prize. Ok, here is where it gets fun! 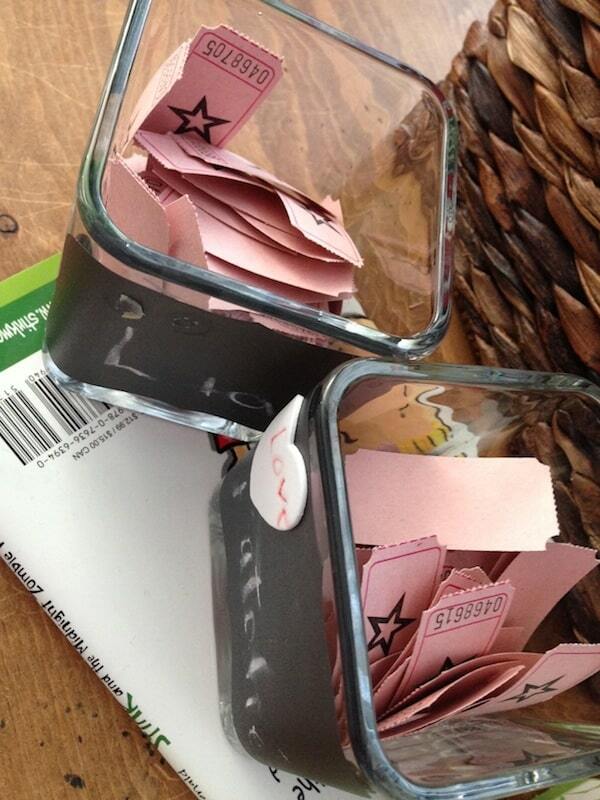 You can make a prize list for your children to aim for. Add whatever you think will keep them on task. Here are some things I have on my list. You catch the drift. You can assign ticket values for each line item. Some you can make really easy to win – consider these low hanging fruit. Consider these things that will ensure that your children will want to stay in the game. The harder ones – like a weekend matinee – will cost your children a lot of tickets. So, they will have to save up! The reason why I make it hard is because it costs me LITERAL money. Liam is SO OBSESSED with wanting to get tickets that he is all ABOUT THIS CHART. This child wants ALL THE TICKETS. It’s hilarious! 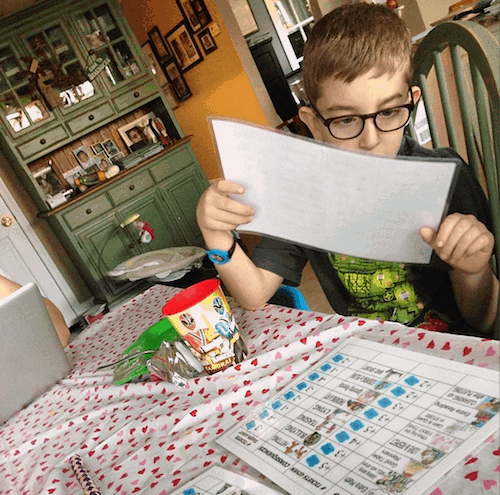 I allow my children to earn extra tickets for doing more reading or math practice after school and he does it every single day. Hopefully, it will just become part of his daily habits. I ended up laminating my entire system because I knew that their sticky little hands would be all over the pages over and over again. That’s up to you! You don’t have to go crazy like ME. You could just make a list and hang it on your fridge. But you need two pages. One page is your ticket prices and one page is your reward prices. That’s ALL YOU need to begin. Then, you need something to act as tickets. They don’t have to be what I used. They could be M&Ms for all I care. Just think of something. Buttons, pennies – you catch my drift. But if it’s something that your children can get their hands on, make sure that they can’t access their jars when you aren’t around. You won’t want them sweetening their pots when you aren’t looking. I liked the tickets because I knew I had complete control over the system. What do you think about this idea? Something you’d try? Would love to hear. inspiration is the key here. Liam looks inspired good luck !! Haha. This would last 3 days in our house. We went old-school when the boys were young and channeled our inner actual parents and handed out chores for a week at a time. If they fought at the table, we stopped eating and stared at them, and told them no one could eat again until they stopped. We did this when they fought in the car, too. Pulled over and stopped driving until they quit. Good luck! Hope your system works! We never gave out allowances for chores because we felt that the better message to send was that each member of a family is part of a working machine and if one person doesn’t do their job, the whole thing falls apart. In this way they didn’t get PAID to be members of the family, they simply were members. We did give them money if they needed it, which doesn’t really start until they are headed into HS. Love your charts!